Why is my demi pointe position so low? 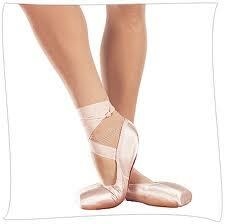 A ‘demi pointe’ position requires a dancer to rise high on the balls of their feet. To achieve a ‘demi pointe’ position, the joint between the toes and the foot must be able to move to a 90 degree angle of bend. In some people this is impossible due to a ridge of bone that physically blocks the movement from being able to go far enough. This is called Hallux Limitus and results in a low demi pointe. The foot is able to compensate for this lack of flexibility by ‘sickling’ or inverting the foot as discussed in a previous dance injury FAQ. This is a case of two poor foot movements coming together to allow a movement to occur – but wrongly – as this position puts the dancer at much greater risk of ankle sprain. This condition needs to be managed correctly to prevent further restriction of the joint. Management involves footwear advice and orthotic therapy for use during everyday activities to support the joint and facilitate movement. Also stretches and exercises may be assigned to keep the joint mobile. 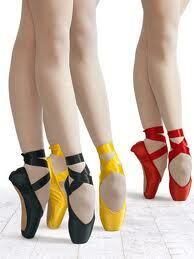 For more answers to questions on Dance Injuries browse our Frequently Asked Questions.